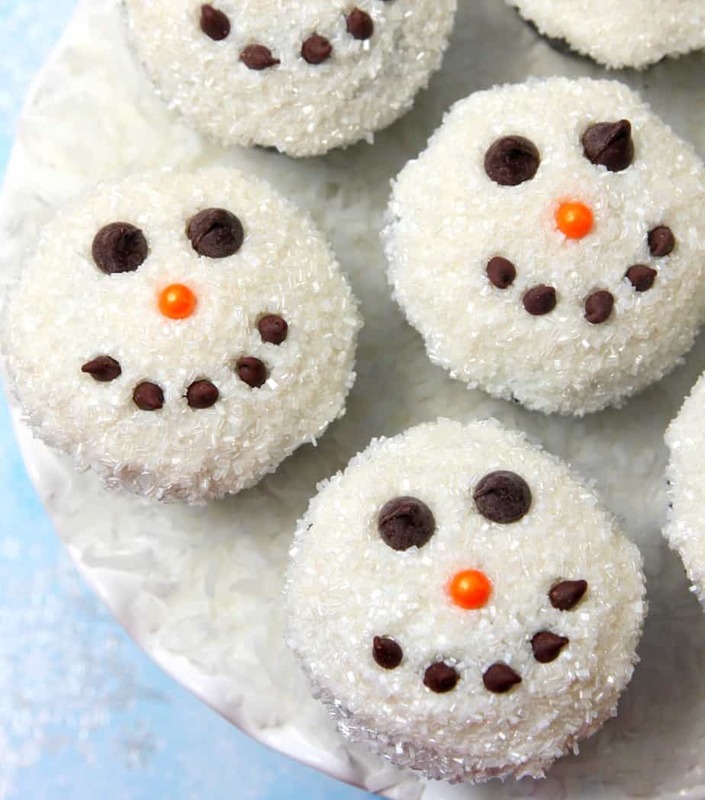 Cute Snowman Cupcakes you can quickly make yourself! 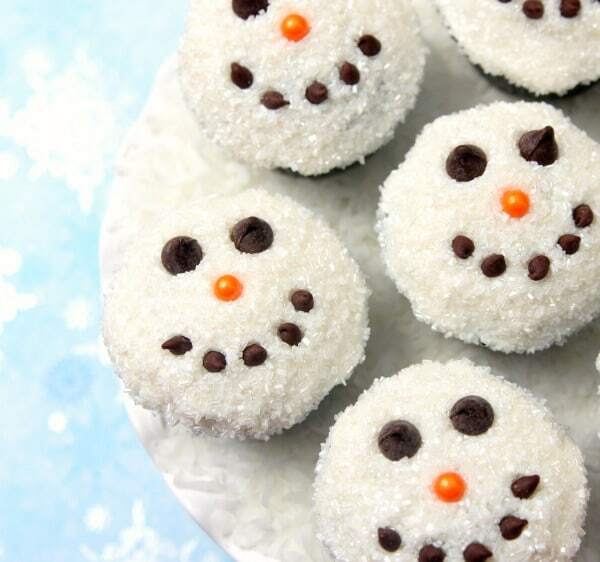 Look how stinkin’ cute these Snowman Cupcakes are! And, guess what? They’re easy and fun to make. 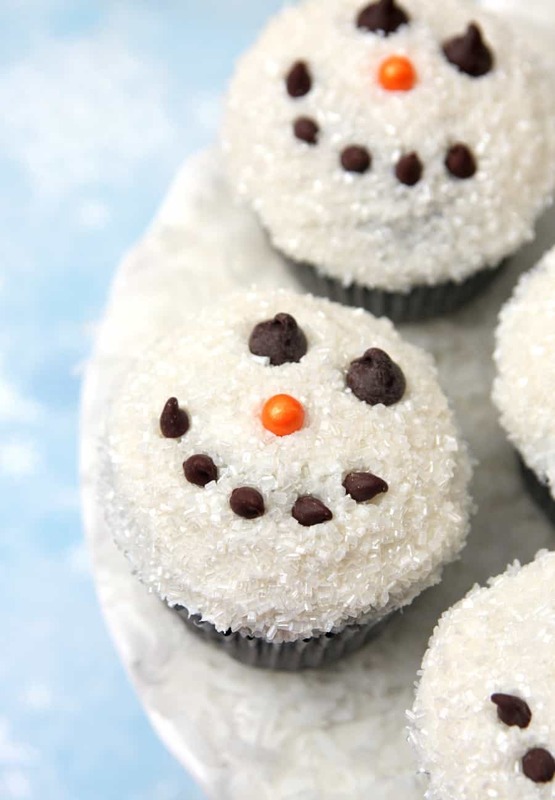 Turn your favorite cupcakes into snowmen in a few easy steps. These cupcakes are especially great if you have a junior baker who likes to help you in the kitchen. I made chocolate cupcakes while Connor was at school and then he was in charge of icing them and decorating them. It’s always fun to find recipes that we can make together. I’ve also learned that dipping cupcakes in sprinkles always makes them look fabulous and taste better. They almost look too good to eat. I said almost. Good thing we can always make more! I added a little coconut to the cake plate to look like snow and give it that extra festive look. In medium bowl, mix powdered sugar and butter with electric mixer on low speed. Stir in vanilla and continue to mix. Gradually add in half & half to make frosting smooth and spreadable. If frosting is too thick, add more half and half, a little at a time. If frosting becomes too thin, add in a small amount of powdered sugar. Dip frosted cupcakes in white sparkling sprinkles and make sure all icing is covered in sprinkles. Add one orange pearl to center of cupcake. Add two regular chocolate chips above orange pearl for eyes. 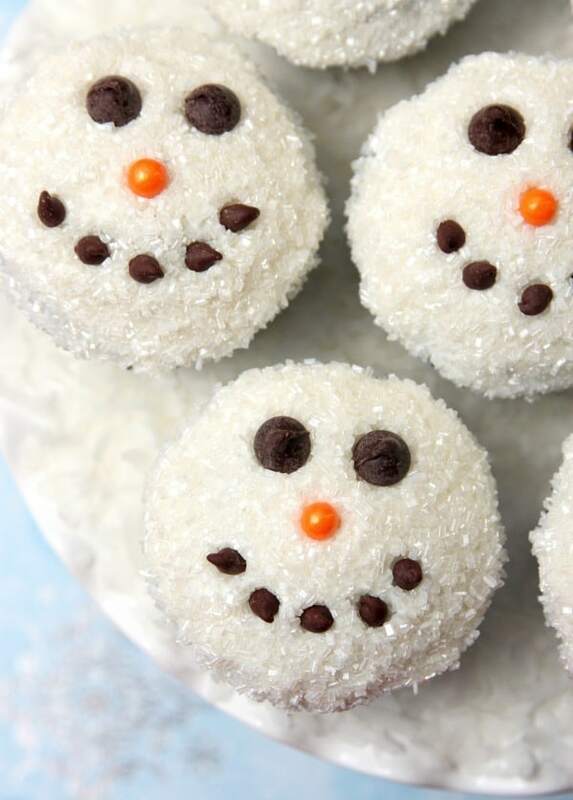 Add mini chocolate chips to make the snowman’s mouth. 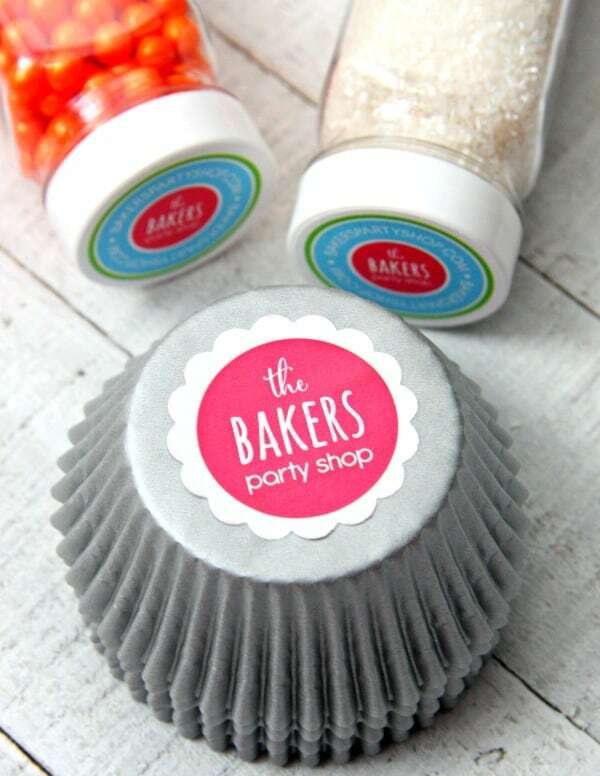 A special thanks to Baker’s Party Shop for sponsoring this post and sending lots of goodies for us to bake with. If you’re looking for fun baking items, be sure to check out their awesome selection of sprinkles, cookie cutters, packaging, and more! I will warn you – once you’re there, you’ll be craving something sweet. 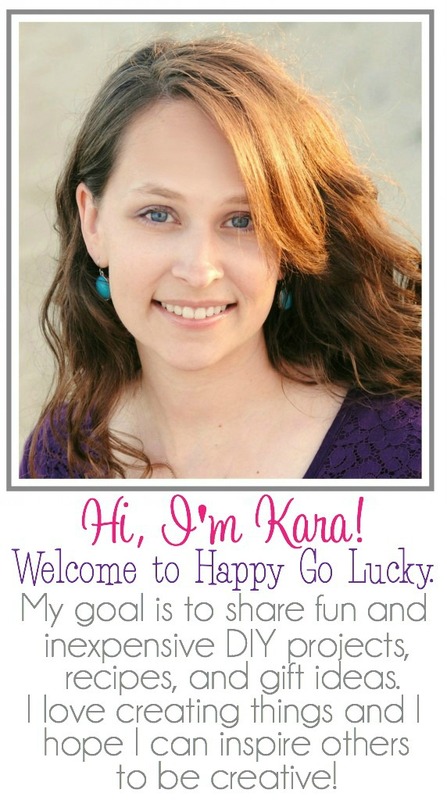 Previous Post: « Give a Gift that Gives Back!